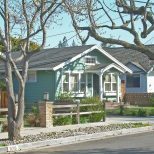 Hunting for a reasonably-priced starter home in LA can seem like an impossible task — unless you know where to look. While detached, single-family homes in this price range are far and few between, you can still score a “deal” (at least by LA standards) in some pockets of the city if you’re also willing to consider a condo or townhouse. Putting down roots in an “affordable” neighborhood doesn’t necessarily equate to suburban exile, either. All of the emerging markets included in this list offer urban conveniences and easy access to transit or the freeways. 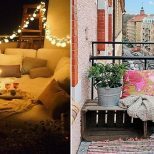 Keep scrolling to find your perfect LA starter home with a budget of $500,000. 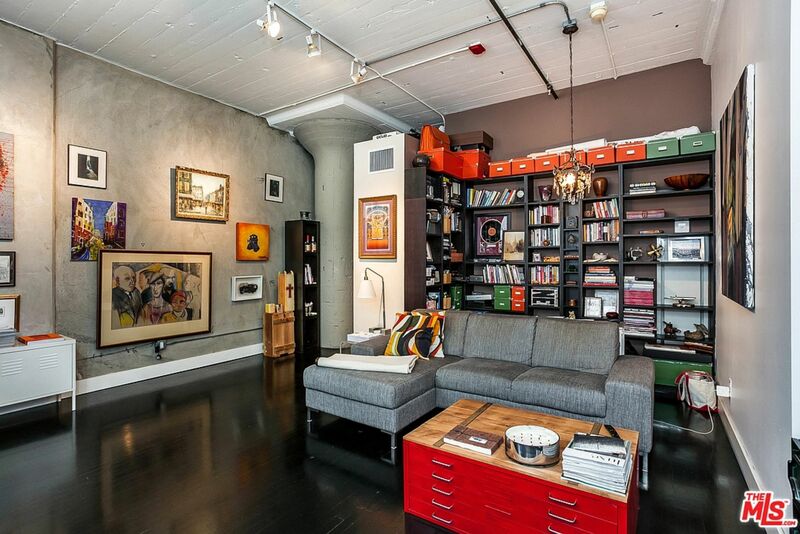 DTLA is rife with character-filled hard lofts, like this newly-updated one bedroom, one bathroom beauty. It boasts original industrial elements like steel casement windows, concrete support columns and exposed pipes. The bathroom has been completely renovated and now features a glass-enclosed shower, large-format slate tile flooring and a floating vanity. Plus, it’s ideally situated between the Arts District and Little Tokyo, which means you can walk to Angel City Brewery for a few after-work craft beers and then grab dinner at nearby Daikokuya. If the industrial-modern aesthetic appeals to you, but you’re looking for something that’s not so rough around the edges, this one-bedroom, one-bathroom condo might be a perfect fit. 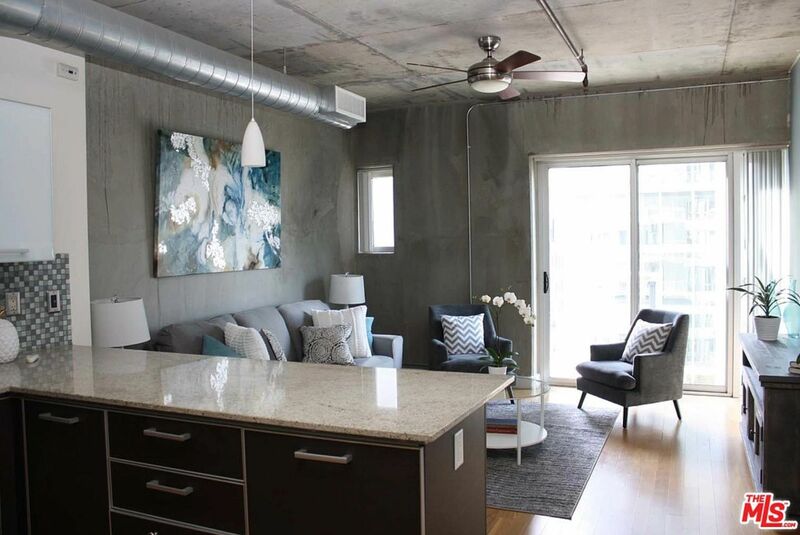 Built in 2006, this soft loft features hardwood flooring, granite countertops and stainless steel appliances. It touts a nearly-perfect Walk Score of 95 and is within a short stroll of LA Live, the STAPLES Center, Whole Foods, FIDM and the 7th Street/Metro Center station. Maybe the hustle and bustle of downtown isn’t for you. And that’s okay, because nearby Echo Park offers skyline views without all that traffic congestion — I mean, unless there’s a Dodgers game. This suspiciously underpriced (impending bidding war, anyone?) unit is part of a multi-story complex that dates back to 1925. Complete with butcher block countertops, a Smeg refrigerator, restored original cabinetry and a spacious deck, it’s sure to wow prospective buyers. 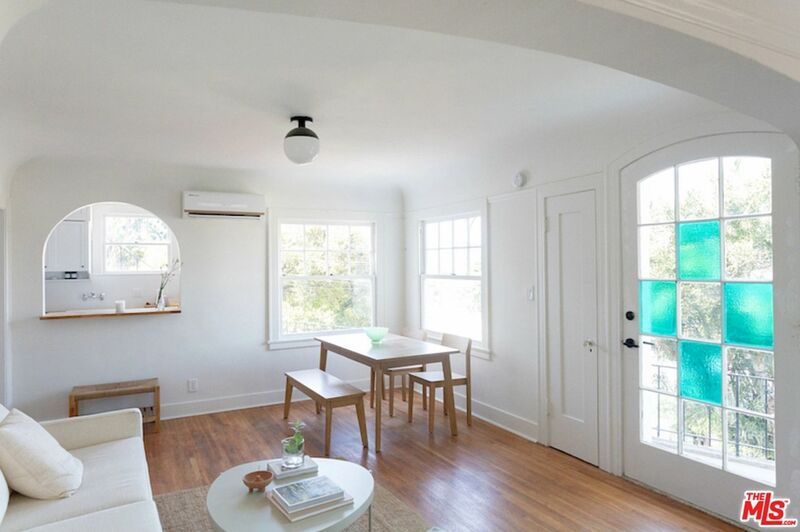 If you’re looking for even more character features (read: antique stained glass windows), may I interest you in 2435 Echo Park Avenue, the lower-level neighbor of 2437? Here you can expect original hardwood floors, cove ceilings, traditional built-ins and a sizable outdoor patio. Seriously, this place is just as charming as the neighborhood it’s in. Would you look at that! A proper detached home for only $425,000. 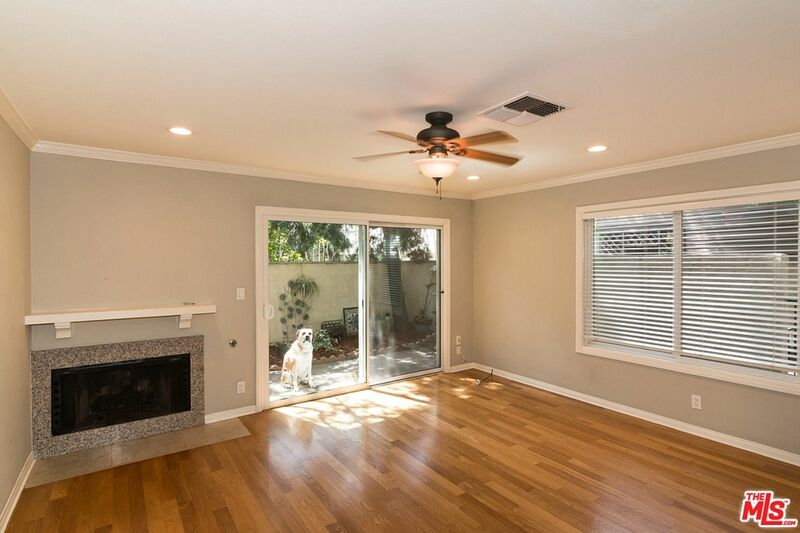 Located in up-and-coming Glassell Park, this Spanish-style abode needs a bit of work (someone please refinish those hardwood floors), but has loads of potential. If that candy-colored front porch doesn’t make you smile, there’s something wrong with you. I’ll admit it, I almost didn’t click on this Monterey Hills listing. The hero image is an unremarkable exterior shot that appears to have some sort of fade filter applied to it? But inside it’s like…are those double-height ceilings?! And a wood-burning fireplace?? The bright, white kitchen is outfitted with marble countertops, flat front cabinetry and brand new appliances. There’s a large balcony with nature views and the HOA fees include EQ insurance and cable TV. 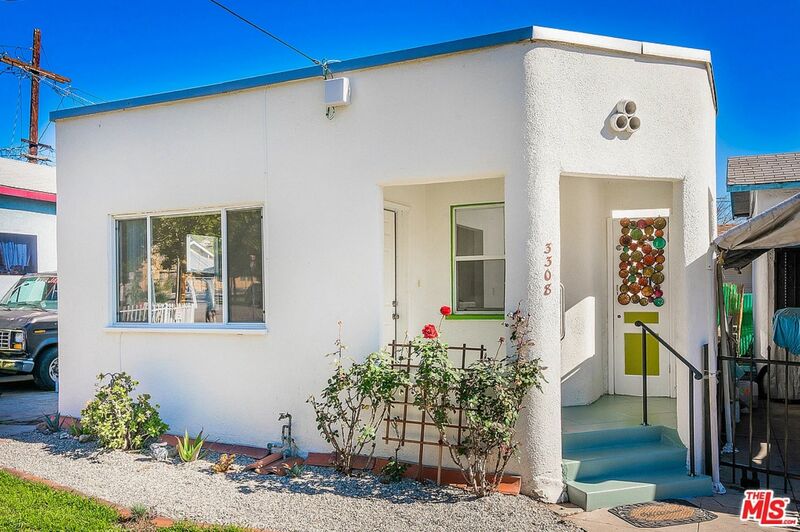 This cute-as-can-be bungalow has a newly-remodeled kitchen and two good-size bedrooms. 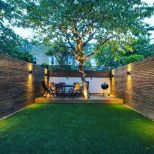 Realtors might label it as a “condo alternative” if it weren’t for the sprawling outdoor space, which can accommodate a barbecue, storage shed, dining area and ample seating. 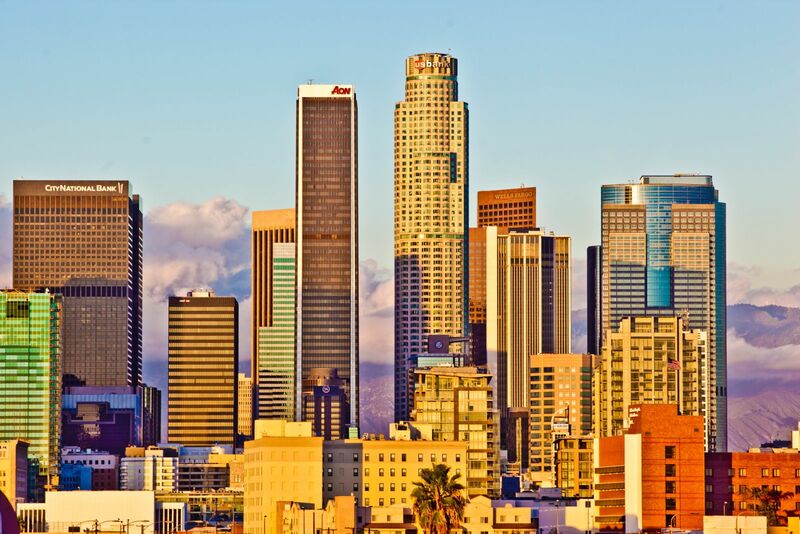 It’s located in the El Sereno neighborhood, which makes for a quick commute downtown. I would like to personally thank the current owners for maintaining the character of this mid-century modern gem. 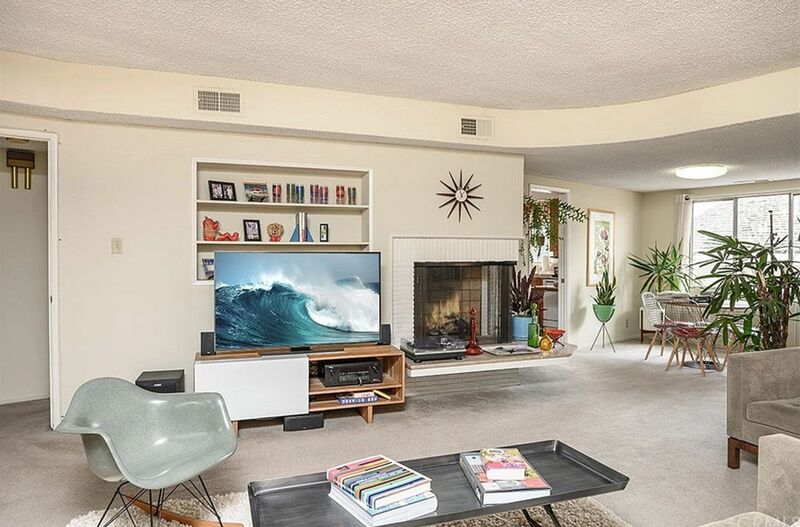 Can we talk about that wraparound fireplace? Or the avocado green appliances? It’s Mad Men-set-designer level perfection. When you do need to leave the condo and rejoin the present decade, the Hastings Ranch Shopping Center, grocery stores, restaurants and fitness studios are all close by. 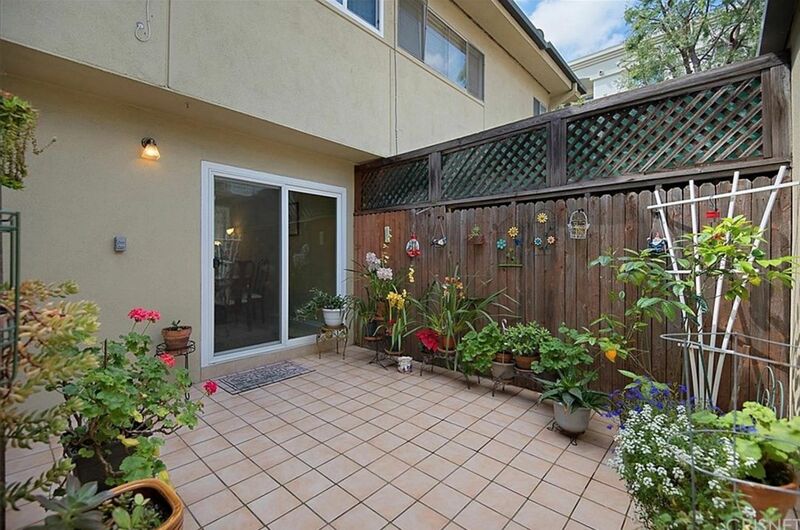 This townhome listing doesn’t need professional staging because it has a photobombing dog! As a coveted end unit, it only shares one wall with its neighbor and there’s a 315-square-foot private outdoor patio. The wood kitchen cabinets read a little early-2000s, but could easily be freshened up with a can of white paint. 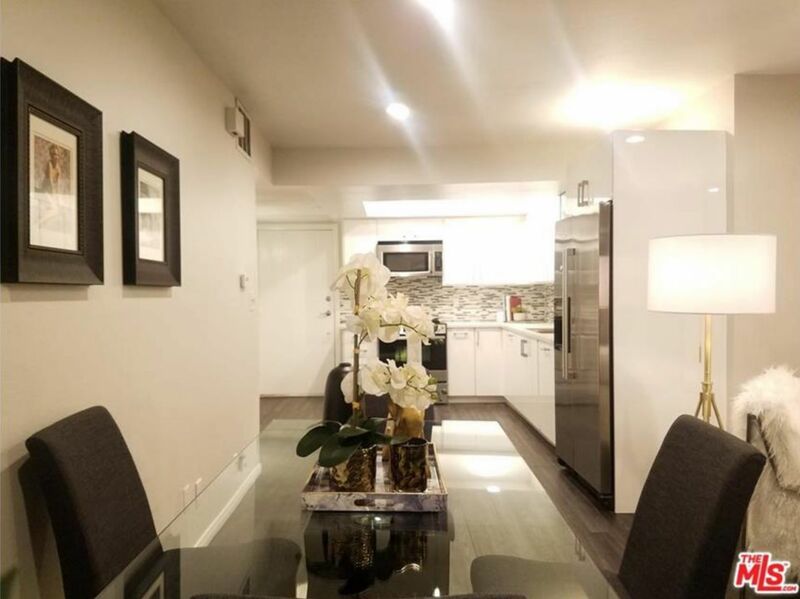 Located in picturesque Pasadena, the future residents of this townhome can walk to nearby bars, restaurants and Lake station along the Metro Gold Line. If you’ve got zero patience for a fixer-upper, consider this turn-key residence with all-new-everything. 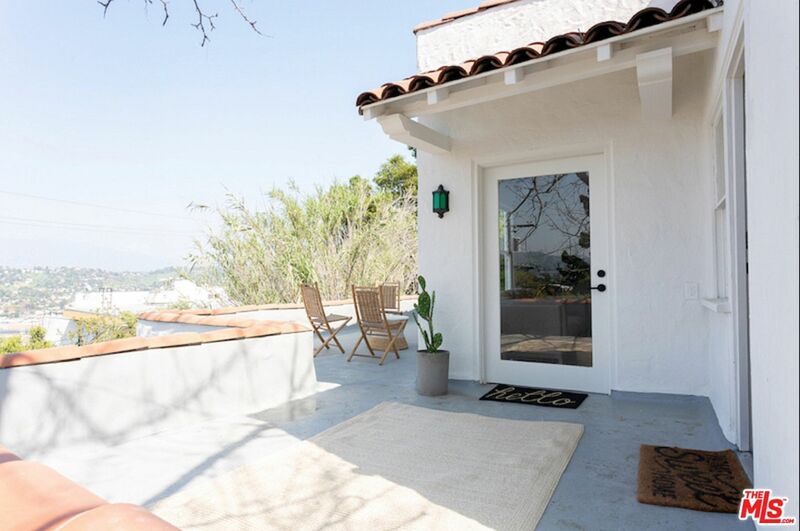 “Tucked away” in the Hollywood Hills, it boasts an L-shaped kitchen with stainless steel appliances, crisp white countertops, hardwood-style laminate flooring and recessed lighting. There’s plenty of storage via the walk-in closet and the master bathroom features a soaker tub with jets. This resort-style condo community offers three tennis courts, two swimming pools, a spa and sauna, fitness center, hiking trails and a dog park, so you literally have no excuse not to work out (sorry!). 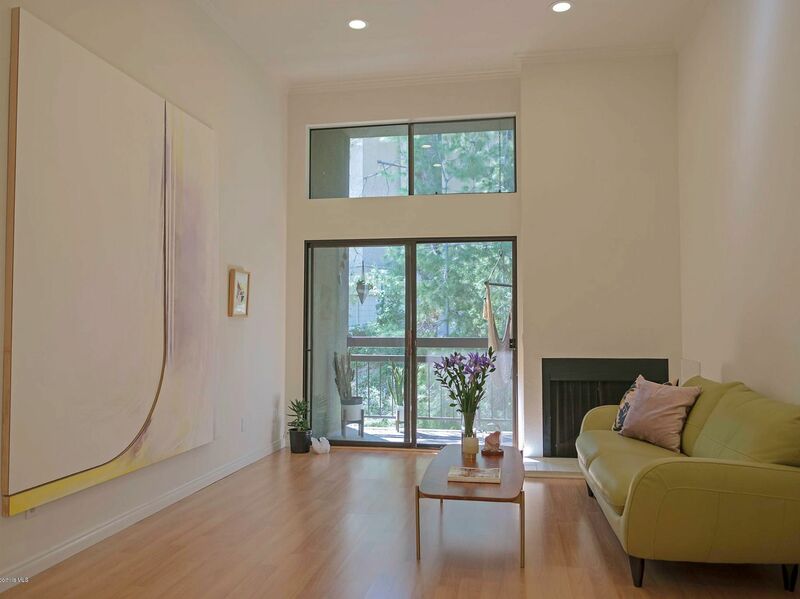 You can tell how spacious this townhouse is by the amount of heavy wooden furniture in it. 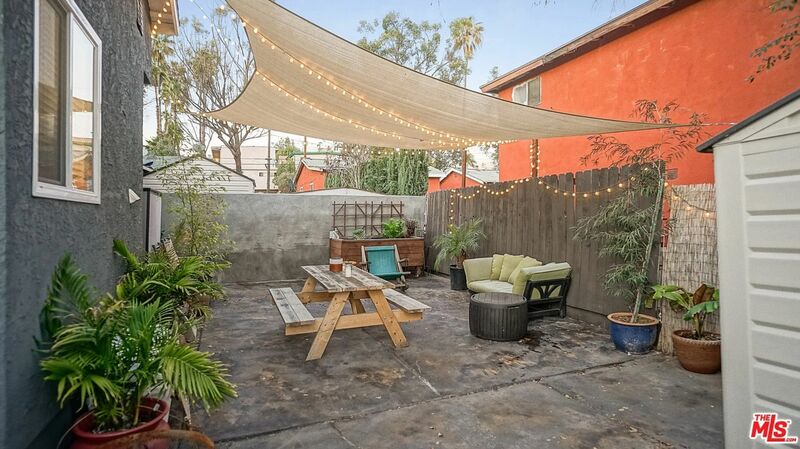 Located in Studio City, it has not one, but two outdoor patios! And the covered parking spaces are side-by-side — not tandem — which is like winning the lottery to an Angeleno. The townhome is part of a three-acre gated community with a swimming pool, spa and dog walking trail. And the HOA fees are a very reasonable $380 per month.